Crosspool Juniors FC is holding a free community training session for local Y5 boys on Saturday 4 May at CDYST on Coldwell Lane. The emphasis will be on enjoyment and player development. Free tea and coffee is provided for parents, as well as cold drinks for the boys. 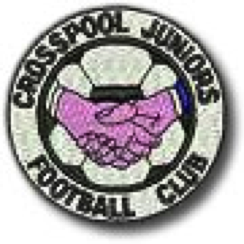 Crosspool Juniors is an FA Charter Standard Status club. Contact Chris via email for more details: chrisreillycrosspooljuniors@gmail.com. This entry was posted in crosspool, sports and tagged cdyst, crosspool juniors fc, free session. Bookmark the permalink.